My goal: My goal was to simply rip a bunch of data discs to iso format for archival purpose. No doubt this has to be one of the most annoying factors when it comes to ripping discs. Don’t you hate it you need to make a copy of a disc and then you find that half way it bombs out with an error ? Well it could be because of low quality media, it could be the drive your ripping from (some drives have better reading capabilities than others) but in most cases its also the software at fault and how it handles error reading. I have recently had to rip a whole bunch of data discs but i came across a few that simple would bomb out with errors, this really frustrated me and so i went on a search on alternative burning apps that would copy the disc for me. This was not an easy feat. I didnt try Nero because it simply is just too bloaty and i know for a fact that it wouldn’t be able to rip this disc. Out of all the above, Imgburn was the worst because it had the worst reading capability and bombed out earlier than the rest. I was extremely surprised by this anomaly. Imgburn is seen as the best burning software (freeware) on the market today. Not to mention LightningUK was the original developer of DVD Decrypter a very popular DVDripping program many years ago, so my expectations where high. I actually got a “Sense interperetation illegal mode for this track” during the copying phase and bombed out. At least i had the option to retry or ignore the error and continue if i wanted to. UltraISO is shareware, and im happy to say did complete the copying process in about 15 minutes. 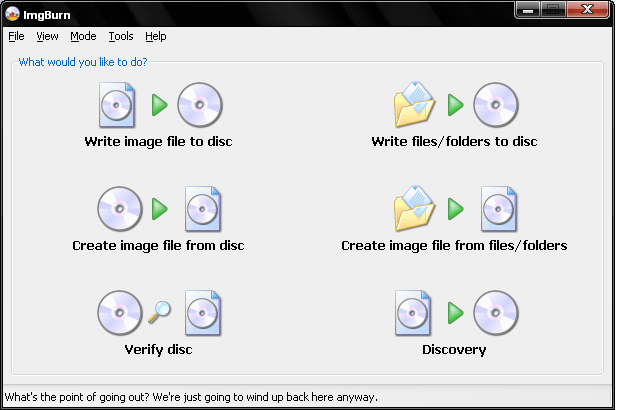 The interface is a little more updated than MagicISO but shares very similar capabilities and option like MagicISO, PowerISO. All functions seem to be working as expected in Windows 8. UltraISO seems to also have an active forum with some stickies so im guessing you can find some basic tutorials on how to do things there. For the purpose of ripping a data disc that has errors i would safely say that this is the best program that you would get the best results from my testing. MagicISO is also shareware and can be purchased for under $30. It completed very happily and it also did it faster than UltraISO, it did not complain about any errors at all. 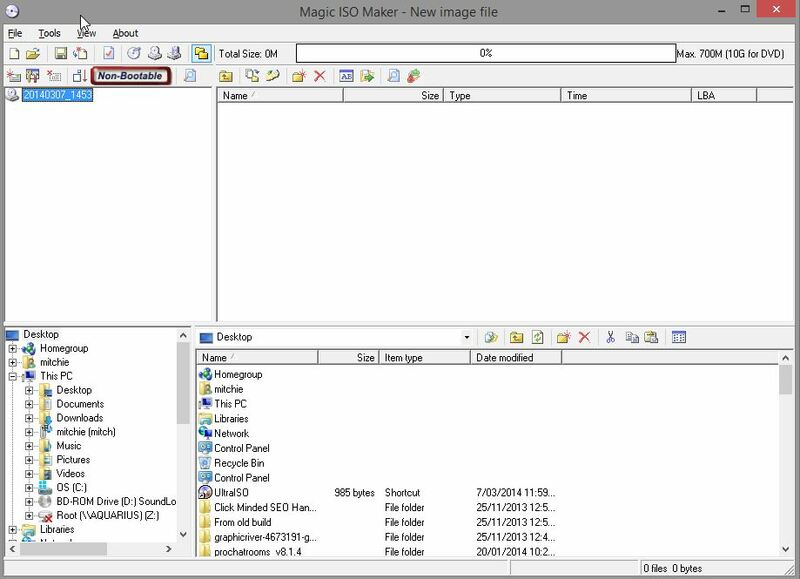 MagicISO is very similar to both UltraISO and PowerISO in terms of features and interface. MagicISO seems to not have been updated for a number of years now, so i do not think it is in active development. It does work fine in Windows 8.1 but i cannot tell if every option works fine or not. 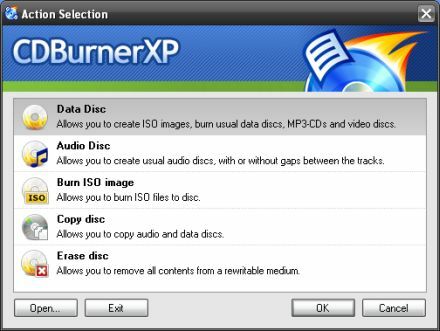 I was hoping CDburnerXP would be my tool of choice because its very similar to the interface of Nero v6, which to me was probably th best version Nero BurningROM every released. Unfortunately it failed the reading test and i had no option to skip errors either. After spending a night installing and uninstalling and trying new software along with putting the same disc that had trouble reading to an ISO file i have concluded that UltraISO is the best software for this purpose. 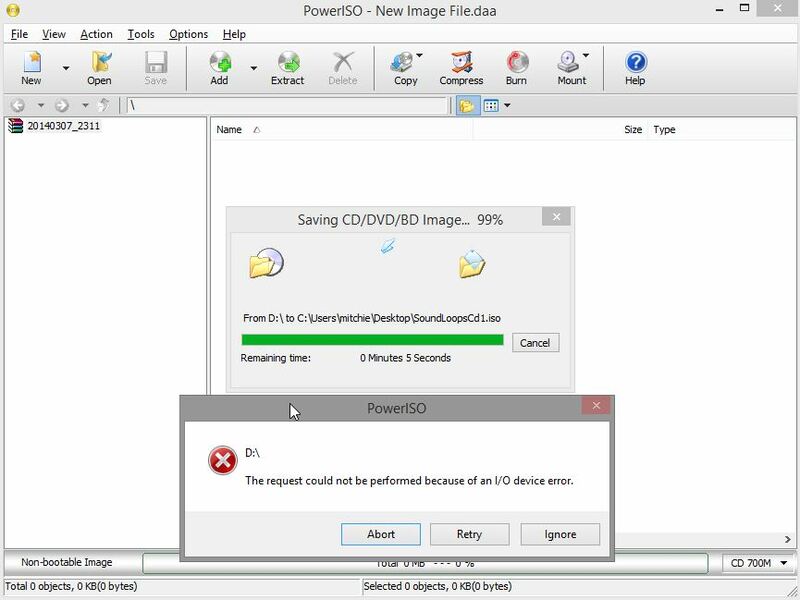 It shares much of the same features as MagicISO as well as Imgburn (it will allow you to burn iso’s, create iso’s, as well as create data, audio, video discs and burn on the fly). UltraISO is not wizard based and is not as user friendly as something like CDburnerXP or Nero and will require some general knowledge on burning in general. I’m also looking to purchase PowerISO or UltraISO, I think I’ll go on your way. Hi Pete, thanks for your comment, I haven’t had the time to update in terms of functions I’m sure they would be similar in many ways, however, what is probably more important especially for my case was the ripping capabilities as you would know CD media does get scratched and as time goes on the lifespan of them deteriorates. So having good software to be able to handle errors is important.